Maria Gabriela Chávez, the most prominent of late Venezuelan dictator Hugo Chávez’s four children, is believed to be the wealthiest person in Venezuela, with a reported net worth nearing $4.2 billion. The claim first surfaced in the American publication Diario Las Americas, which cites bank statements and asset analysis as the source of this astronomical sum. In addition to inheriting millions from his father, the younger Chávez allegedly made $15 million selling rice at inflated prices–in a nation where the average Venezuelan has to spend up to five hours on a supermarket line to buy basic goods, thanks to a socialist rationing system implemented to counter the effects of hyperinflation. Venezuelans are so desperate to buy vegetable oil, milk, and other necessities that violent riots have sprouted throughout the country, with one riot leading to the death of a warehouse worker last week. Fox News Latino notes that Chávez would, according to the new analysis of her wealth, be significantly better off than Lorenzo Mendoza–net worth $2.7 billion–the head of Polar food and beverages, whom President Nicolás Maduro has called a “bigwig” and whose facilities he has expropriated. Maria Gabriela, the second of four known children, was widely believed to be Chávez’s favorite daughter, as she was appointed honorary first lady following his divorce and given both the most airtime on state media and political leverage. 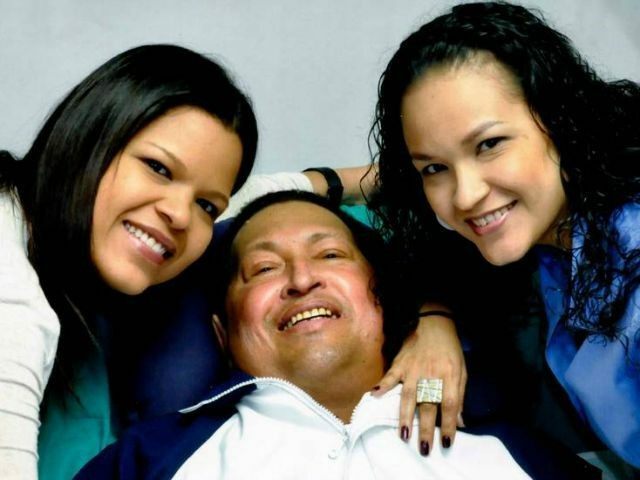 Maduro himself is considered lavishly wealthy, though his expenses pale in comparison to those of the Chávez sisters. Between Maduro’s public expenses and that of Chávez and her older sister, Rosa Virginia, the government of Venezuela spends an estimated $3.6 million a day. While publicly supportive of the Chávez family, Maduro has reportedly had numerous personal disputes with them. Maria Gabriela and Rosa Virginia still live in the presidential palace, La Casola, with Rosa Virginia’s husband, Vice President Jorge Arreaza. Newspapers reported of marital trouble in the Maduro household due to the President’s inability to get the Chávez family out of the palace so that his wife and children may live there. According to neighbors, the Chávez sisters have turned the presidential palace into “an entertainment club for their friends,” organizing noisy parties that last late into the night. While the socialist Venezuelan government seems to continue to find money to throw at the Chávez family, the average Venezuelan struggles to find food, cleaners, and medicine to live. A report published Tuesday cites the head of a major hospital in the capital, Caracas, warning that 60% of their cancer patients, including many children, will not be able to receive necessary treatment because 20 drugs used in chemotherapy are impossible to find in Venezuela. “Many of the medications missing are the most important ones within the treatment [chemotherapy],” he explained. The cancer warnings follow reports as early as May 2014 showing that the number of amputations performed in Venezuelan hospitals has been “skyrocketing” because doctors simply do not have the antibiotics or medical supplies to fix problems with patients’ limbs that, in a well-stocked hospital, would not lead to the loss of an arm or leg.